This is in contrast with soldering and brazing, which involve melting a lower-melting-point material between the workpieces to form a bond between them, without melting the workpieces. 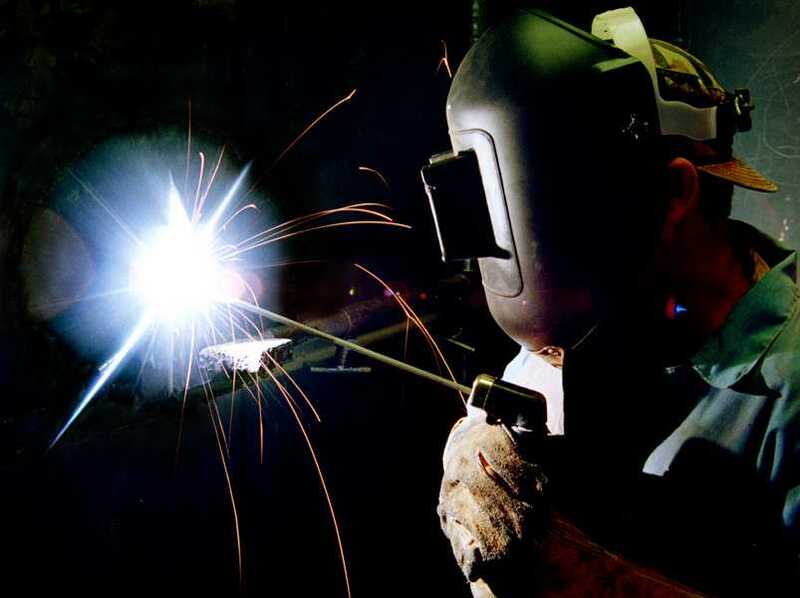 Welding, technique used for joining metallic parts usually through the application of heat. 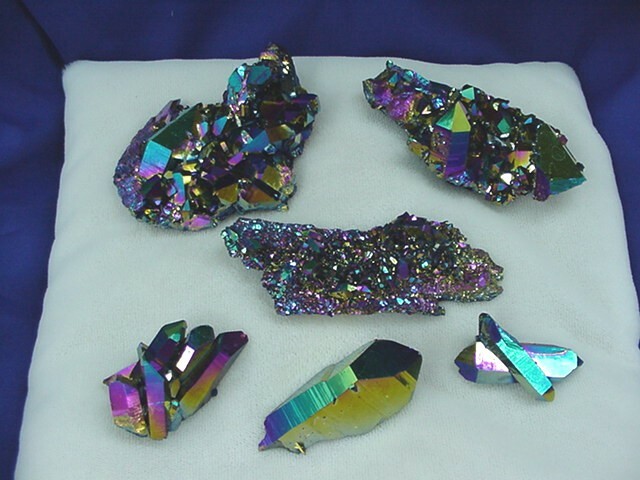 This technique was discovered during efforts to manipulate iron into useful shapes. Welded blades were developed in the first millennium ad, the most famous being those produced by Arab armourers at Damascus, Syria. The process of carburization of iron to produce hard steel was known at this time, but the resultant steel was very brittle. The welding technique which involved interlayering relatively soft and tough iron with high-carbon material, followed by hammer forging produced a strong, tough blade. 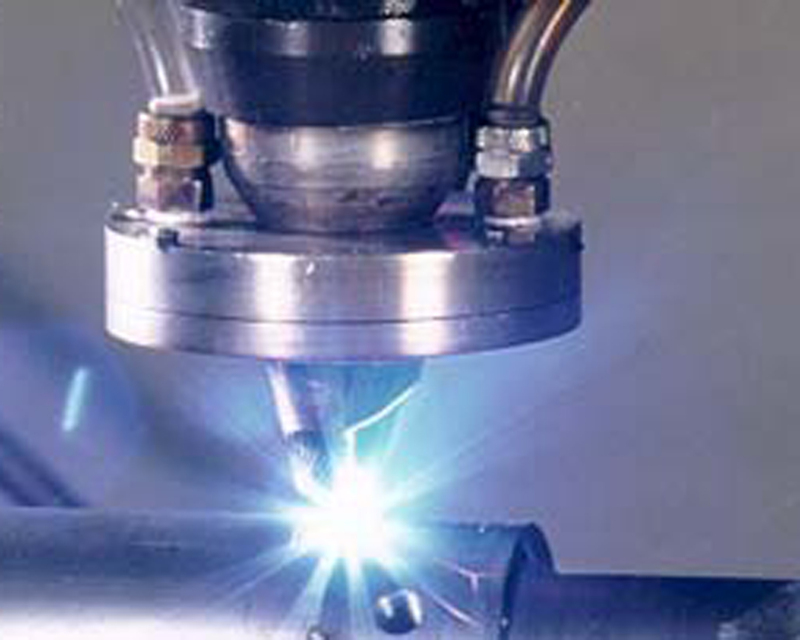 Welding, technique used for joining metallic parts usually through the application of heat. 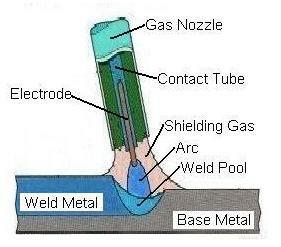 A weld can be defined as a coalescence of metals produced by heating to a suitable temperature with or without the application of pressure, and with or without the use of a filler material.In fusion welding a heat source generates sufficient heat to create and maintain a molten pool of metal of the required size. The heat may be supplied by electricity or by a gas flame. Electric resistance welding can be considered fusion welding because some molten metal is formed.Solid-phase processes produce welds without melting the base material and without the addition of a filler metal. Pressure is always employed, and generally some heat is provided. Frictional heat is developed in ultrasonic and friction joining, and furnace heating is usually employed in diffusion bonding. Until the end of the 19th century, the only welding process was forge welding, which blacksmiths had used for centuries to join iron and steel by heating and hammering. 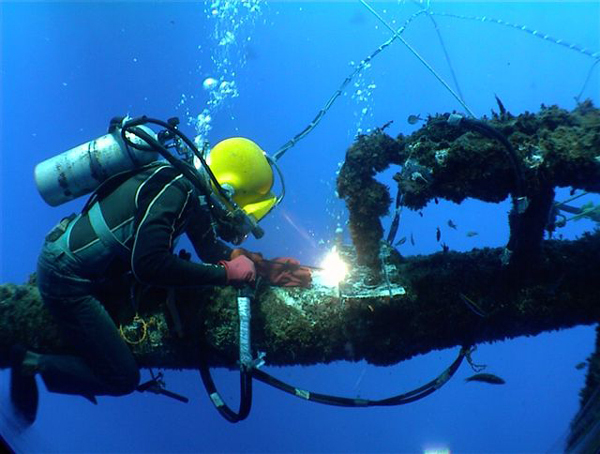 Arc welding and oxyfuel welding were among the first processes to develop late in the century, and electric resistance welding followed soon after. 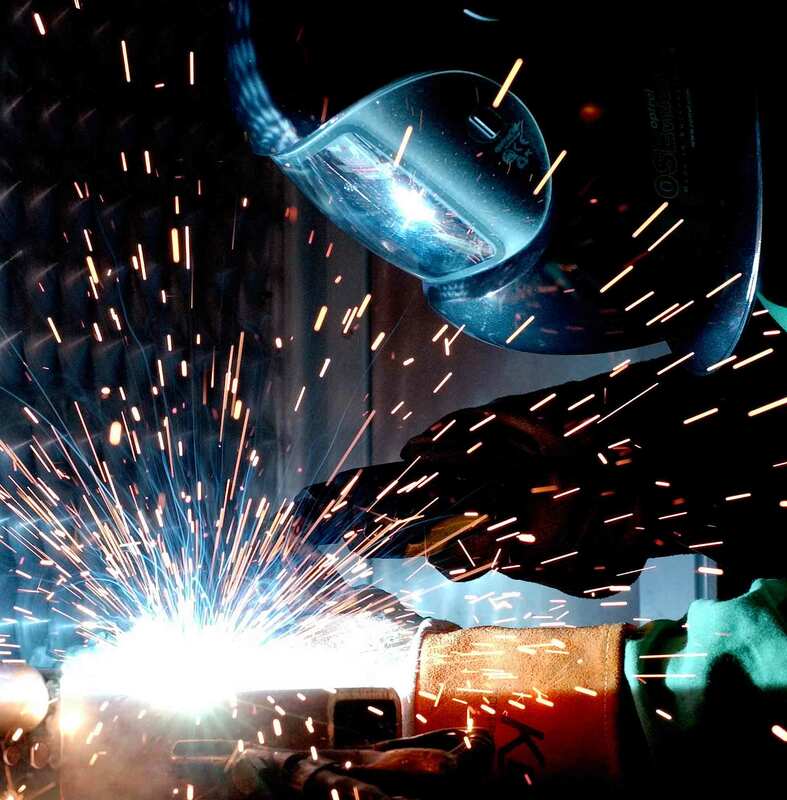 Welding technology advanced quickly during the early 20th century as World War I and World War II drove the demand for reliable and inexpensive joining methods. 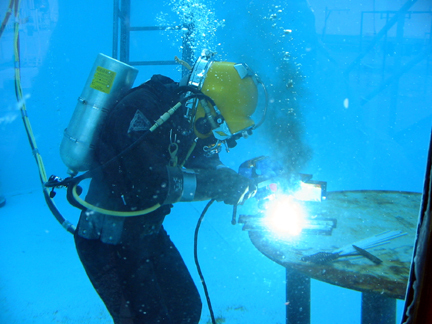 Following the wars, several modern welding techniques were developed, including manual methods like shielded metal arc welding, now one of the most popular welding methods, as well as semi-automatic and automatic processes such as gas metal arc welding, submerged arc welding, flux-cored arc welding and electroslag welding. 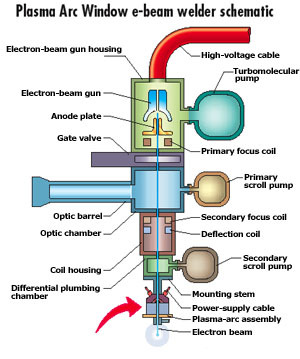 Developments continued with the invention of laser beam welding, electron beam welding, electromagnetic pulse welding and friction stir welding in the latter half of the century. Today, the science continues to advance. Robot welding is commonplace in industrial settings, and researchers continue to develop new welding methods and gain greater understanding of weld quality and properties. 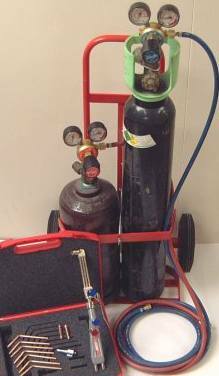 The welding region is sometimes protected by some type of inert or semi-inert gas, known as a shielding gas, and/or an evaporating filler material. 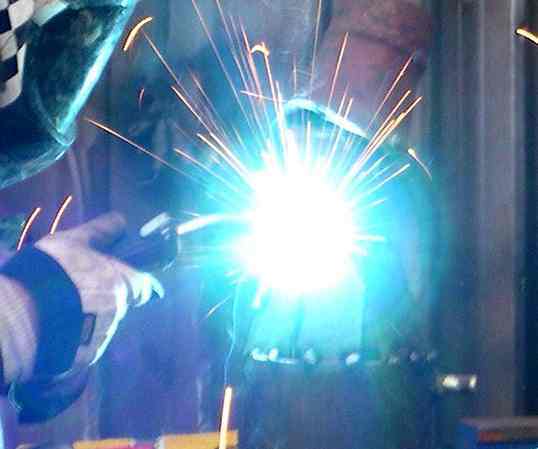 The process of arc welding is widely used because of its low capital and running costs. Getting the arc started is called striking the arc. An arc may be struck by either lightly tapping the electrode against the metal or scratching the electrode against the metal at high speed. One of the most common types of arc welding is shielded metal arc welding (SMAW), it is also known as manual metal arc welding (MMA) or stick welding. Electric current is used to strike an arc between the base material and consumable electrode rod, which is made of steel and is covered with a flux that protects the weld area from oxidation and contamination by producing carbon dioxide (CO2) gas during the welding process. 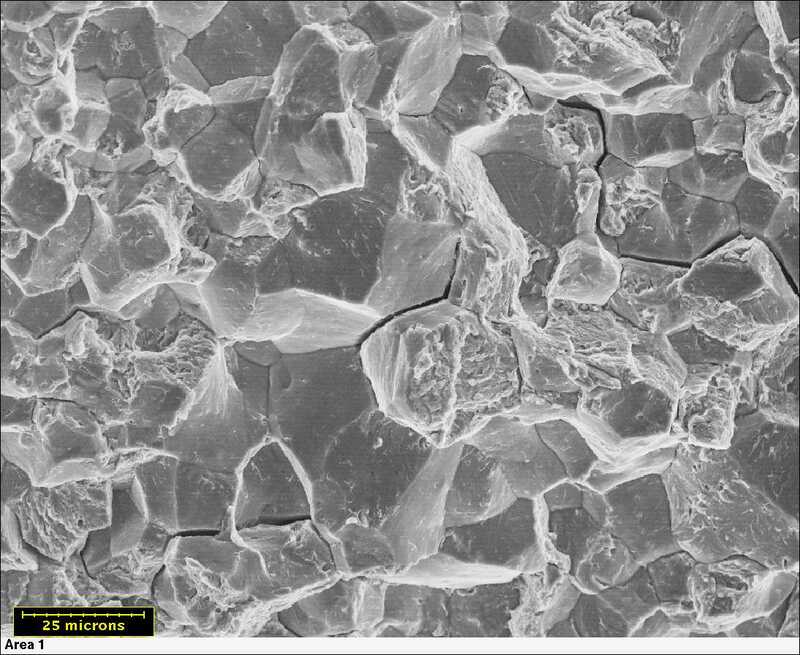 The electrode core itself acts as filler material, making a separate filler unnecessary. Submerged arc welding (SAW) is a high-productivity welding method in which the arc is struck beneath a covering layer of flux. This increases arc quality, since contaminants in the atmosphere are blocked by the flux. 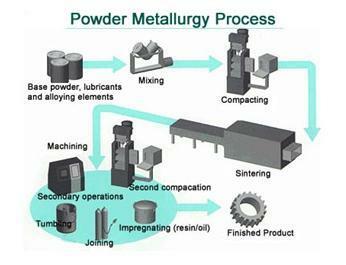 The slag that forms on the weld generally comes off by itself, and combined with the use of a continuous wire feed, the weld deposition rate is high. Working conditions are much improved over other arc welding processes, since the flux hides the arc and almost no smoke is produced. The process is commonly used in industry, especially for large products and in the manufacture of welded pressure vessels. Other arc welding processes include atomic hydrogen welding, electroslag welding, electrogas welding, and stud arc welding. Resistance Spot Welding (RSW), Resistance Seam Welding (RSEW), and Projection Welding (PW) are commonly used resistance welding processes. Resistance welding uses the application of electric current and mechanical pressure to create a weld between two pieces of metal. 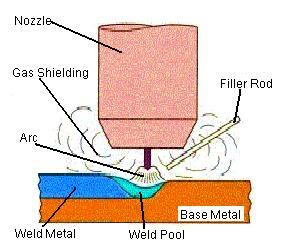 Weld electrodes conduct the electric current to the two pieces of metal as they are forged together. 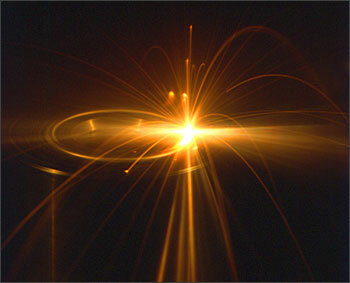 The welding cycle must first develop sufficient heat to raise a small volume of metal to the molten state. This metal then cools while under pressure until it has adequate strength to hold the parts together. 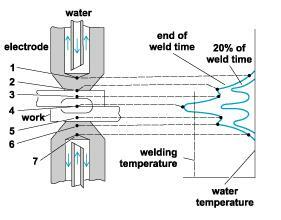 The current density and pressure must be sufficient to produce a weld nugget, but not so high as to expel molten metal from the weld zone. 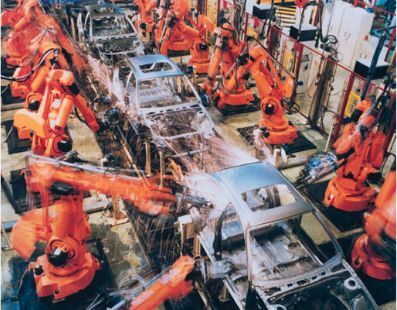 There are two popular types of industrial welding robots. 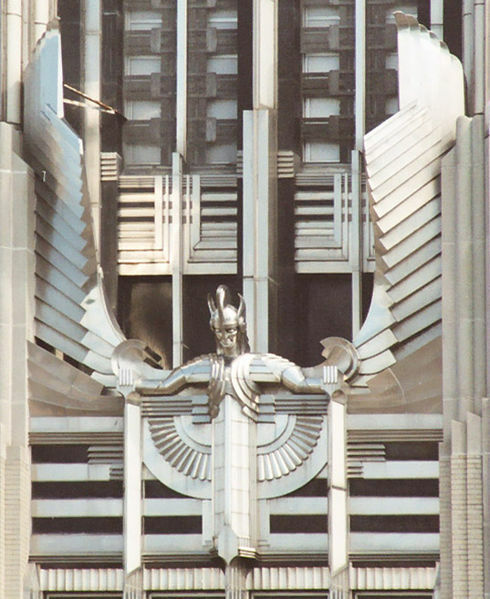 The two are articulating robots and rectilinear robots. Robotics control the movement of a rotating wrist in space. Rectilinear robots move in line in any of three axes (X, Y, Z). In addition to linear movement of the robot along axes there is a wrist attached to the robot to allow rotational movement. This creates a robotic working zone that is box shaped. Articulating robots employ arms and rotating joints. These robots move like a human arm with a rotating wrist at the end. This creates an irregularly shaped robotic working zone. 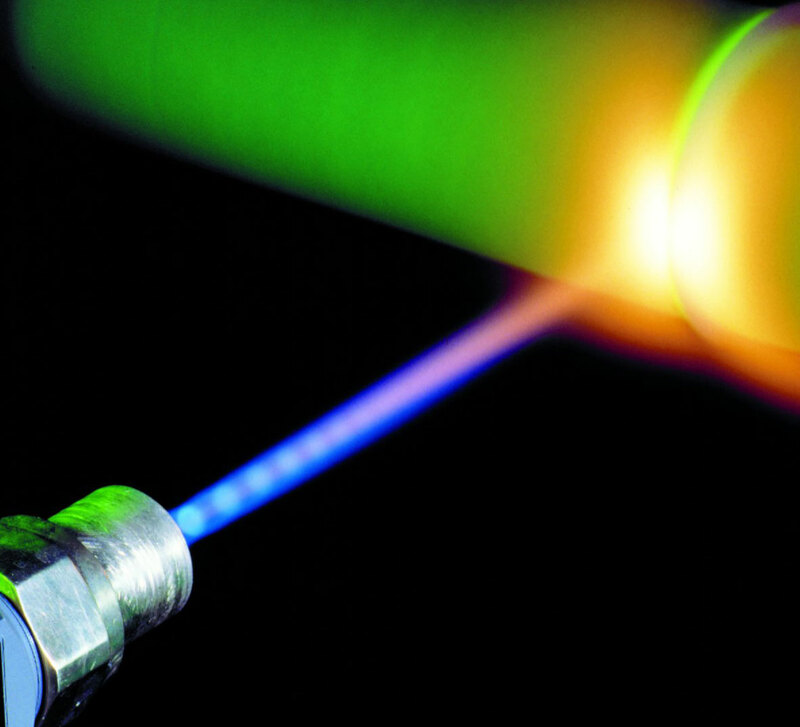 Soldering and Brazing are joining processes where parts are joined without melting the base metals. Soldering filler metals melt below 840 °F. 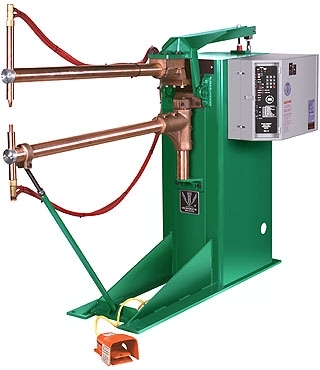 Brazing filler metals melt above 840 °F. Soldering is commonly used for electrical connection or mechanical joints, but brazing is only used for mechanical joints due to the high temperatures involved.